I accidentally took two months off from the blogosphere. It was a crazy end to 2016. I checked with Qantas who told me that I took 31 flights with them, totalling some 26,500 miles, from April to December 2016. In January 2016, I moved to Melbourne and didn’t travel for those first 3 months as I settled in to my new place. I have found my comfort space here in Melbourne. This is my city. I love it here, I love the lifestyle, I love the streets, the people are great, my suburb is happening and super close to the CBD, I have trams outside my door, there’s plenty of places to walk GG and there’s heaps to do. I have friends here as well, both old and new, and I have friends from Brisbane and Sydney, who visit pretty often and I visit them as well, thanks to my travel schedule. I visited Hanoi in Vietnam in December – an amazing, eye-opening experience. I will post about that separately soon. Creatively and photographically, 2016 was a fabulous year. I met my blogging buddy Julie and we became firm friends who push each other to do some really cool and fun photo shoots – whenever we find the time to get together. I want us to make more time for that this year. Julz has an amazing home studio that she has welcomed me into and we have had a lot of fun creating cool shots in there. In November, I finally registered my new business name and started my business website – desleyjane pictures – where I hope to soon set up an online store where people can buy prints and other paper goodies that I’ve made. This is a huge passion for me and I’m so excited for it to get going. I did two professional (!!) photo shoots in November! Yay! One was a series of product shots and model shots for a small business owner here in Melbourne – that’s her modelling in the image as well. More on that in another post but if you follow me on Instagram, you will have seen many of those there. The second shoot was for Griffith University. The new Director of the Griffith Institute for Drug Discovery invited me to shoot the re-brand of the institute, which involved portraits and creative shots of the leadership team as well as students and lab shots. It was a lot of fun, a huge job and it will have a lot more follow on work to finish out the rebrand. It has been a struggle trying to combine my real job with my #sidehustle – especially since it’s the photography that always takes a back seat. But we keep going, we work late, we work weekends, we try to fit in as much as we can, and we try not to burn out. And above all, we have fun! I have a very regular posting schedule on Instagram (@desleyjane). I try to post every day – either something from my life or something from a photo shoot. I have also started a second Instagram account for my planning obsession (@desleyjane_plans) – this will coincide with part of my online paper products business once I can get that off the ground. Time! How do we stretch it out? I’ve studied Physics, that little task is beyond me. It all comes down to planning 😊 and organization and prioritisation of tasks and events. This is my focus for 2017. In fact, my word for 2017 is FOCUS. How did 2016 finish for you? I hope you are all doing well and I look forward to catching up with all of you over the next few weeks as I make my way back around the b’sphere. I am so happy for you. Its’ been some time for sure but I still genuinely enjoy following your blog. Happy New Year and here is to an amazing 2017!! awwwwww shucks Hun, love you too xo. FOCUS I love it, 2016 was such an awesome year, in part for meeting you in RL. We do push each other don’t we? Can’t wait to shoot again soon. If your word is Focus, my will be BRAVEr little ‘R’ because I am brave, but I want to be bolder and braver in 2017! Love your words girls and that you have found each other in the big city. We need kindred spirits in our lives. Congrats on the new business! Since you mentioned #sidehustle, I must recommend the new Chris Guillebeau podcast called “Side Hustle School”. He does a short episode daily about side hustles. Check it out on iTunes! As for your word for the year, I haven’t chosen mine yet, but “focus” is one of the three I’m considering, although right now, it’s in 3rd place. The other two are “zoom” and “align”. They all mean the same thing in the context I want to apply them. I just have to choose a favourite. You go girl – what exciting ventures lie before you I cannot wait to see – woo hoo! And I love your word for this year, FOCUS. Last year my word was “acceptance” but have yet to settle on this year’s. Wishing you all the best with your #sidehustle! Hi, it´s good to hear from you again. I can see your reasons for not posting now – I was wondering what was going on. I even checked if I didn´t mis-unsubscribe 😀 Great changes – I´m happy for you. Keep us posted! Thanks so much!! I’m so glad to have your support. Happy New Year to you and I hope you’re well!! Sounds to me as though you won’t have a huge amount of time for blogging this year DJ – but I hope you find a little time for us. Good luck with the business, I shall check it out and hopefully the travel will be reduced giving you more time to explore your new city life. Thanks Jude! Thanks so much for taking a look at the website. I’m so happy it’s up and running. 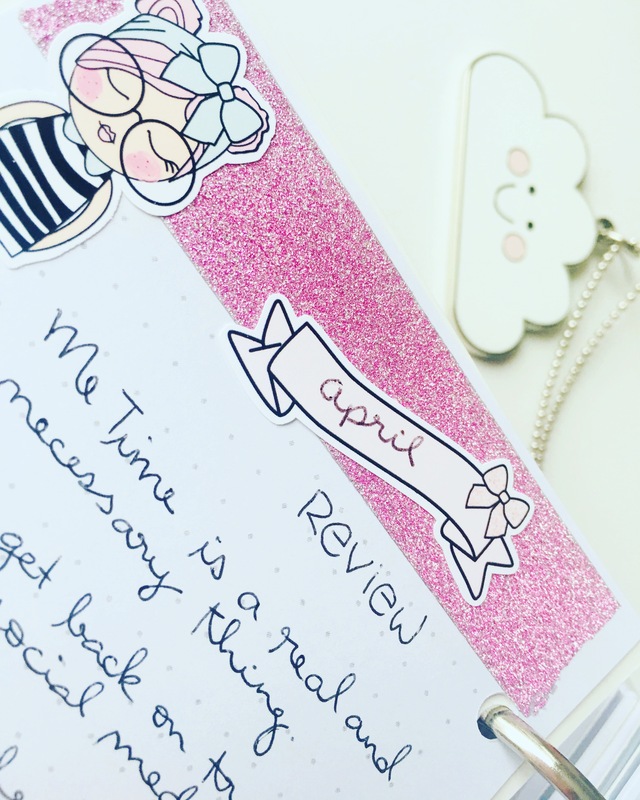 I am devoted to being more organized this year and to make sure I have time for blogging as I love it. Thanks again, I hope you’re well and I’m looking forward to catching up more. Are you using a 3rd party to print your images? I know there are companies who offer different sizes and different finishes for photographers which would be very difficult to do yourself. Also make sure you have a proper watermark on any images of a substantial size to prevent theft. I will be using a third party printer, yes. And I do have a watermark as well. Thanks Jude. You go, girl! Your website is beautiful, Desley! I mean, the photos are fabulous but the website is just lovely. You have been busy and I am excited at all you have going on. I cannot wait to hear more. Ah, so happy for you, DJ! Congrats on your photography business (and your pink watermark/log is very apropos! I’m sure you will be wildly successful. I just got a new camera myself (a bridge–Panasonic Lumix FZ300), so excited! Here’s to a fab New Year and 2017 for you! Thank you so much Terri. Now time to do some marketing! Awesome a looking forward to seeing the photos from your new camera! The LUMIX lenses are lovely. Yes here’s to a fab new year for all of us!! Melbourne is a wonderful city- congrats, Desleyjane! You have an exciting life and I wish you well in your new chapter. Great photos here. I loved the street art in Melbourne…and the coffee…and the architecture… and the people. Lucky you! Thanks so much Jane. Yes I am so glad I took the plunge and decided to move here 😊😊 Hope all is well with you! Great update Desley – you certainly have been busy!! All the best for your new projects this year. You are an amazing whirlwind of activity!! Thanks so much Deb. It’s fun and exhausting but I’m going with it lol. Wow! That’s a lot of stuff, but more importantly it’s a lot of cool stuff! Julz and the homestudio, Hanoi, studies, photo shoots, settling in the new place. Fantastic! Thanks Max!! Yes I feel like it’s all fantastic. It’s certainly keeping me busy and keeping my eyes peeled at every second for a new backdrop or something else to add to the shooting lineup. Thanks again! What a rich and diverse year you had, my cyber-friend! Special congratulations and good wishes for your online business. I love the simplicity of your logo and the overall elegance of the site. Your professional photo shoots are great too – original and a bit quirky, especially the one for Griffith where such originality in presentation beats the usual stodginess of such institutions hands down. It’s so good to hear that Melbourne is giving you so many pleasure. You and Julie have great creative synergy too. More of that in 2017 please! Focus is a great word for the year. Mine I think will be Adjustment, as I settle back into my Australian life. Thanks so much Meg. I appreciate your comments, particularly about Griffith. The brief was for Griffith’s new slogan – “be remarkable” so I really wanted to do something different. Not everyone got on board but I love these ones who did. Yes Julz and I will definitely shoot together more this year. Soon I hope! Adjustment – it will be quite an adjustment for you. And for your family staying on as well. They will surely miss you dreadfully. This looks like a great beginning of the new year. Congratulations on all the cool changes in your life Desley! Thank you Paula! Here’s to all of us having a wonderful 2017! What a fabulous year for you Desleyjane. Best wishes for this year and your passions and your business. Oh thank you so much. I’m so looking forward to seeing what happens next. And making it happen! So last night I watched Chef’s Table on Netflix TV and the chef in the spotlight was Ben, the owner/chef of Attica in Melbourne. Desley lives in Melbourne—I must ask her! Have you been there? I would imagine it is expensive only because it was rated the 32nd Best Restaurant in the World. Yes, indeed. Oh yes Attica! I have not been. It’s degustation only and it’s $300 per person. $500 with wine. Or so I’ve heard. It is supposed to be an amazing experience. Gorgeous photography, Desley! Congrats on your new business – may 2017 be a very successful one for you! Good luck with the new business! And best of luck for the rest of the year!